Are You Finally Ready to Detox & Balance Your Body? Boost your energy without coffee (and without naps) - it is possible! Lose weight, especially around your midsection. Naturally balance your hormones for better mood, less PMS and clearer skin. 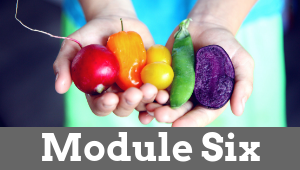 Bring balance to your immune system to lessen your autoimmune symptoms. Rediscover your libido - yes, it's still there! Gut check - balance your gut for improved digestion and less discomfort. Learn to manage your stress, balance your mood and get your life back. Ditch your cravings for sugar, alcohol and caffeine. SIGNS THAT YOUR BODY IS ASKING FOR HELP! 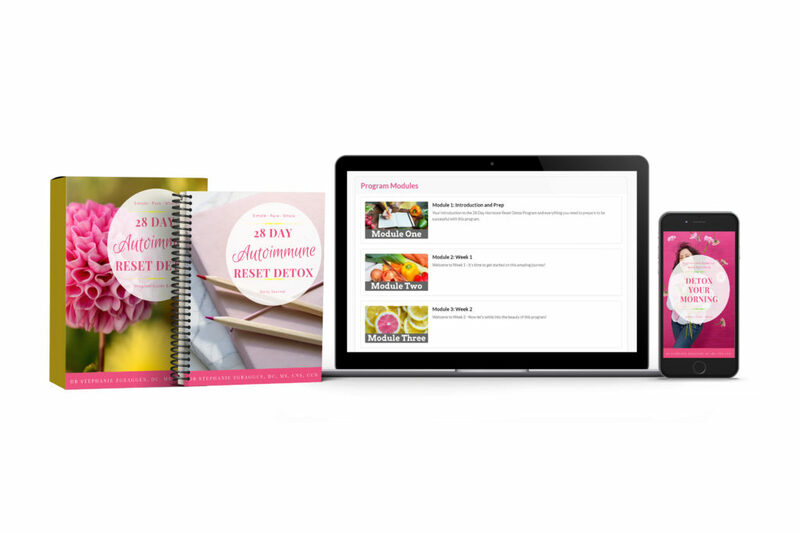 Introducing the 28 Day Autoimmune Reset Detox Program, a gentle, guided program designed to support your body’s natural ability to balance your digestive and immune systems so you can look and feel incredible! 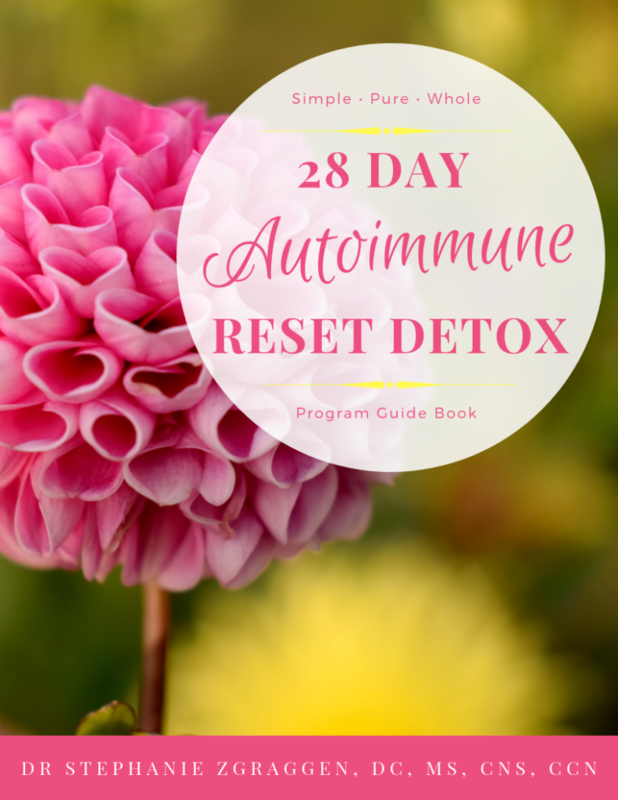 Your introduction to the 28 Day Autoimmune Reset Detox Program and everything you need to prepare to be successful with this program. Welcome to Week 1 - It's time to get started on this amazing journey! 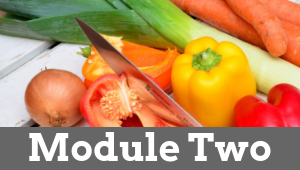 Welcome to Week 2 - Now let's settle into the beauty of this program! Welcome to Week 3 - You're halfway through - keep going! Welcome to Week 4 - Final week - You've made it to the home stretch! CONGRATULATIONS! You've finished the 28 Day Autoimmune Reset Detox and now it's time to celebrate the decide what is the next step on your health journey! You want to get healthier. Period. You've heard of (or thought about) detoxing but don’t know where to start. You want something easy-to-follow AND a plan that works by eating REAL great tasting food. You’re tired of needing that extra coffee just to get through the day. 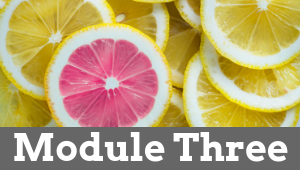 You're ready to balance your immune system to kick those autoimmune symptoms to the curb. You want to have more energy to enjoy each day! You want to say goodbye to sugar cravings and balance your metabolism. You want to lose the stubborn weight around your waist just won’t budge even with exercise. You want to sleep better and improve your mood. You want to get glowing skin, shiny hair and strong nails without spending hundreds at the spa. You want the leadership of a caring and experienced women’s health expert and doctor. You like the convenience of making these changes from the comfort of your own home, at your own pace without the need to travel to appointments. You want to figure out how to get healthy completely on your own. You already know exactly which foods to eliminate on a detox (some might surprise you). You’re not ready to take responsibility for your own health, and are still searching for that one magic pill that will fix everything. You do not want to make any dietary changes. Maybe the time is just not right and that’s ok. But if you really want to get a handle on your hormones and take back your life, you’re going to have to make some dietary changes. You are not willing to make changes to your environment. Some stuff might need to change and it is my responsibility to tell you what things need to go. I was so impressed with the amount of materials with the program and how easy it was to follow and how much better I feel afterwards. Three months ago I could hardly get out of bed and now I have loads of energy at the end of the day! Dr Z's toxicity quiz was the BIG eye-opener for me. At the end of the program my score was down over 50%!!!!! My doctors had no real answers for me; I am so grateful to have found Dr. Stephanie. Now I have no hot flashes and am sleeping again! I know you just want to feel better. And I also know that the solution to your immune challenges, low energy, and gut issues is going to to require you to change some habits… which can be intimidating. Which is why I’ve designed this program to be simple to implement while also achieving massive results. **** This program is entirely virtual, so you can participate from anywhere in the world as long as you have an internet connection. 80+ page e-guide of simple information on what exactly a detox is (and what it’s not) from a doctor’s perspective. Make success easy by following my recipes that will save you time without compromising nutrition or taste! Print it out and take it to the store with you. You’ll know exactly what to get and save a whole lot of time doing it. Take my quiz and find out how many symptoms you have from toxins in your body. 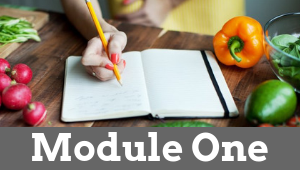 Record your experience and track how you are feeling every day along with your food and mood. Simple, and effective daily rituals to support your body’s natural detox systems. 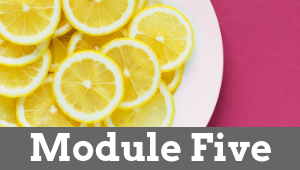 6 Modules will walk you through the program step by step along with associated worksheets and handouts to keep you on track. 3+ hours of videos along with downloadable audio, transcripts and slide decks to make your life easier and to assist with your learning. Post program evaluation includes measurements, questionnaires, food reintroduction and new goal setting for your health. This guide will help you understand and track which foods are causing you to feel run down, irritable, or unwell. FAQs from my past patients so that you never feel stuck or unsure– I answer the questions you try to google answers for. Join spiritual mentor, Jean Atman, as she guides you through a detox meditation developed specifically to help you with this program. I’ve included interviews with my favorite people in the holistic health community to assist you on your detox journey. Join our private Facebook group to connect with like-minded women for accountability and support. I originally visited Dr Stephanie for chronic swelling in my legs and feet. This has been something I have been struggling with for a while and tried many cures with not much success. 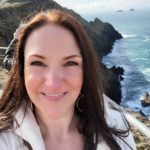 Stephanie spent time exploring the normal go-to’s as well as the less obvious supplements and crafted a perfect blend to best support my healing. My body now is much more balanced. It also feels like a tremendous bonus that my energy levels are more level and my sleep is more sound. I can’t recommend Dr. Stephanie enough for her attention to detail, her intuition, and great support she offers! Want to Enhance Your Detox? 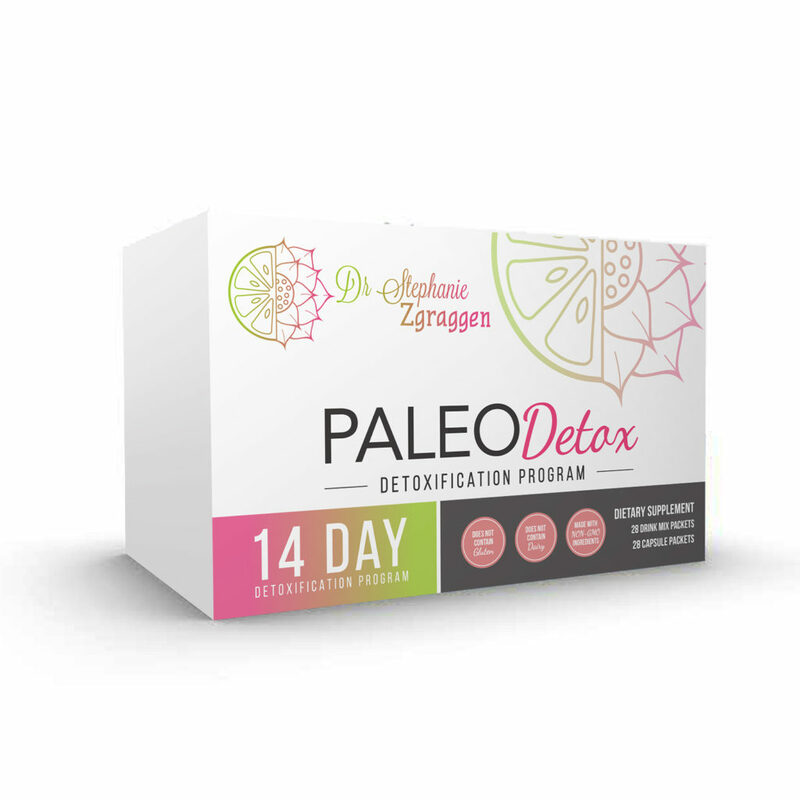 My Paleo Detox + Antioxidant Support promotes your natural detoxification pathways, as well as supports cellular defense against oxidative damage and inflammation. Choose the package with the detox kit to save $50 off the bundle at checkout. Still Not Sure if this is Exactly What You Need? My mission is to help as many women as I can get their health back, but not by spending months googling their problem & trying everything without success. No need to make an appointment. No need to wait to get started. You’ll get the chance to use the same plan I use with my patients and the one I’ve been using myself for over 14 years ...but without the costly price tag of in-person doctor's visits, although I still offer an option for more support if you feel like you need it. I am so confident in this program and with your success that I offer a 100% Satisfaction Guarantee. If you fully and actively participate in the program, complete all of the assigned tasks and are not satisfied, you may request a full refund within 30 days of the start of the program. Simply send us an email telling us you would like to end the program and we will refund your payment. No more excuses, no more 'tomorrow' or 'next month'... you deserve to feel your best with a program that WORKS. Yes, I understand I’m ordering the digital online version of The 28 Day Autoimmune Reset Detox Program. Yes, I understand that no physical product will be delivered to me, unless I ordered a supplement package. Yes, I understand that if I'm not completely satisfied I have 30 days to request a full refund. Is the detox recommended for pregnant or lactating women? No. Firstly, more calories are required during pregnancy and lactation than are needed during detox and for everyday weight management. Also, if you are pregnant or lactating, you would not want to be increasing your detoxification output and then passing those toxins on to your unborn child or to your baby through your breast milk. For these women, eat clean, and let’s do this when you’re finished breast feeding. This detox program is not designed to be a weight loss program; however, many people lose weight during the course of their detox program. Some of the reasons for this weight loss include: lower than usual caloric intake due removing grains and processed foods from the diet, taking sugar out of the diet, decreased consumption of allergenic foods such as wheat and release of toxins from fat stores. Will I be in the bathroom all day? It is very important to consume extra water while detoxifying to help flush out toxins. Therefore, most people urinate more often than usual on this program. With any detox, you may experience increased bowel movements, but it should not involve urgency or limit your daily activities. Will I get a headache? Some people experience headaches during the first few days of their detox due to withdrawal from sugar, caffeine, and/or alcohol. The week prior to starting your detox you can begin decreasing intake of these substances to minimize discomfort. Can I take my prescribed medications during the detox? Can I take my regular supplements during the program? For many there are no issues with doing a detox program while on a regular supplement regimen. In the program, Dr Stephanie will also provide supplement recommendations to enhance the detox process. Supplements are recommended, but are NOT required during the program. Supplements are intended to support a healthy diet and lifestyle to maximize detoxification outcomes. Can I take other supplements? Can I still eat food on the program? Yes, this program is not a fast but instead a nutrient dense plan. You will be allowed to eat clean pastured meats, fruits, vegetables, and healthy fats during your detox program. Can I substitute non-approved foods during the detox? 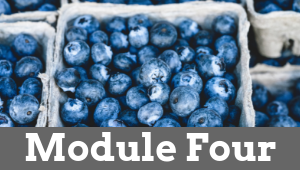 The fruits and vegetables listed in the guide are recommended because of their high nutritive value, low glycemic (sugar) value, and their capacity to support detoxification and hormone balance so it is best to stick with those that are listed for the most benefits. Do the recipes contain gluten? foods are known to cause inflammation, which leads to a disruption in your hormones and immune system along with increased pain and much more. What if I am vegetarian or vegan? What if I am allergic to one of the foods on the approved list? Can I exercise on the program? Exercise facilitates the removal of toxins and it helps you manage a healthy weight. If you are able, it is recommended that you walk at least 30-45 minutes at least four days per week. You could also choose other activities like yoga, pilates, swimming, or rebounding. Strenuous exercise should be put on hold during the program. I bought the program but cannot find my login information. Please email support@drzgraggen.com and we’ll get you the information you need! The program material is yours to keep for LIFE! We’ll keep it available on our website for at least one year from your date of purchase and you’ll be able to download a copy of everything to your computer. Yes, we have a 100% Satisfaction Guarantee on all of our programs as long as you actively participated in the program. You may request a refund up to 30 days from the time of your purchase. If you are not satisfied with your purchase, please contact us at support@drzgraggen.com to request your refund. Our team will ask that you submit your documentation to support your active participation. Once that is received we will glady issue the refund. Please allow up to 30 days to receive a credit. You can keep any bonuses that you may have received at no cost.